This week on NEP, Oni and Galen get super informative! Have you missed any of the big news and little details in between over the past few days? Do you want to hear our tacky interpretations? Then you’ll want to check this episode out. Nintendo has big plans moving forward, and there’s a lot we don’t know about yet! In addition to the jam-packed news, Galen reveals how little he knows about using My Nintendo, Oni loses his mind and memories, and the gang laughs together along the way. We hope you’re enjoying listening! Please leave us your feedback, and do check below for more details and timestamps. Thanks for listening! 02:42 – Plantboi Fatal Cutie! Piranha Plant in Smash. 06:46 – Dr. Mario World announced for mobile, Mario Kart Tour delayed, and our general Nintendo Mobile discussion. 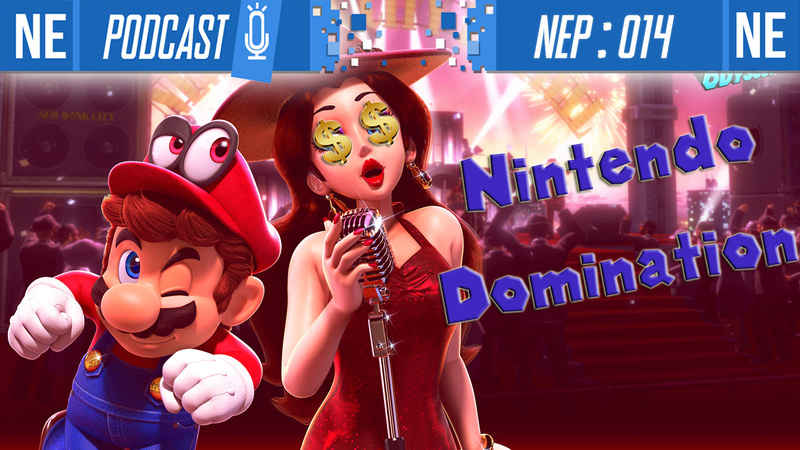 18:44 – Nintendo’s Q3 financial results and all the news in-between! Nintendo IP expansion! Nintendo Account secret future plans? Accidental My Nintendo discussion (Oni loses his mind for a moment) and Nintendo mobile plans! 46:42 – Persona Q2 coming west finally! Collector’s edition discussion. Send us an email and we’ll discuss it! Listener Bonus: Help the show grow and support us by giving us ☆5 STAR☆ iTunes review, likes and comments on YouTube, and share the Spotify playlist with your Nintendo-loving buddies! A HUGE thank you to Headphones of Listening for NEP’s intro music! Check him out on soundcloud! This week’s background music is the OST for the indie game Oxenfree by the artist scntfc. And our outro music this week is, “There’s Nothing That Can’t Be Stolen (Ali’s Theme)” from the Code of Princess EX soundtrack.